Applications are invited from qualified Tanzanians from the Public Sector to apply for Long & Short Courses tenable in India for the year 2018/2019. 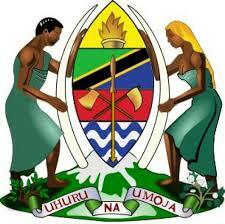 The list of courses can be accessed from the website: www.utumishi.go.tz. The entire costs of training under these schemes, including the return international airfare, tuition fees, accommodation, emergency medical treatment, book allowances and study tours will be borne by the Government of India.  The application forms should be typed (typewritten). Att: Division of Human Resource Development, - Ground Floor, Office No.17. Deadline for submitting applications forms is two months before the commencement of each training course. Please note that, the previous successful applicants are not eligible to apply and incomplete applications forms will not be processed. NB: Please, we also remind all applicants to have ample time for processing State House Clearance.